The goal of a Sound Explorations program, as with all programs offered by Sound Experience, can be summarized in a single word: awareness. We believe that people will protect what they learn to value. 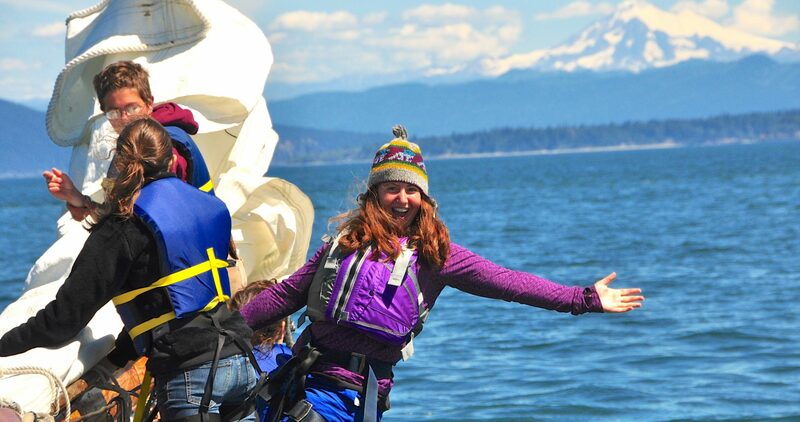 Leave with a heightened awareness of Puget Sound as a fragile ecosystem, understand the concept of a whole system, and understand how Adventuress and the earth both illustrate this concept. Recognize the interrelationships that exist between all life. Identify the positive and negative impacts that they as individuals have on the Puget Sound ecosystem. Recognize their ability to take action by raising others’ awareness and making responsible choices. Understand the necessity of cooperation as a course to action. Learn that Puget Sound is an incredible, diverse, and productive ecosystem and that the waterways we all share are fragile and need our care. Most importantly, students learn that they can make a difference. When you join us for a day trip, your group will take part in an active learning and working voyage. On board our vessel, participants are able to experience how community, nature, culture, and infrastructure all interact and shape each other. 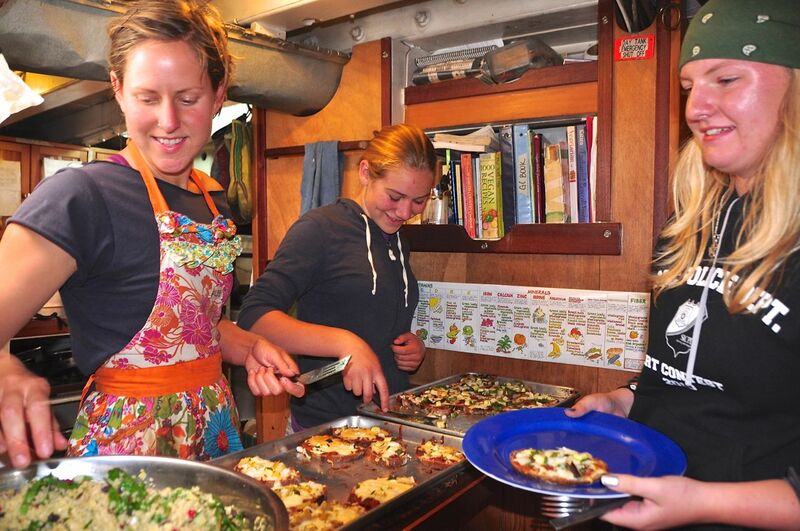 Continue below to learn more about how we can meet your groups goals and how you can join us for an experience aboard Adventuress. 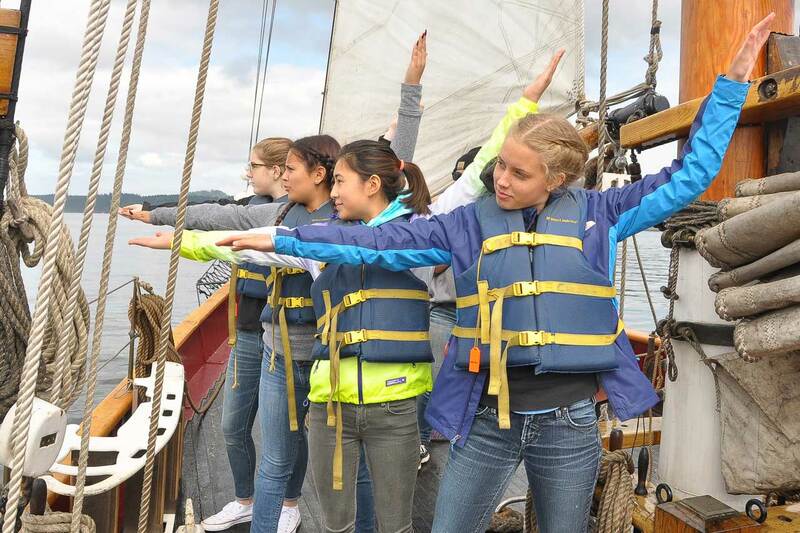 Check out our Supplemental Information Packet, it includes lesson summaries, Adventuress sail plans and specs, sea shanties and more! We offer 2 to 7 day programs for groups. If you wish to plan something longer, please contact us for custom options. Groups between 14-18 people can come aboard for $149/person/day. This number includes teachers and chaperones. Smaller groups can be accommodated at the 14 person price. Groups between 14-18 people can come aboard for $159/person/day. This number includes teachers and chaperones. Smaller groups can be accommodated at the 14 person price. This program is offered to ages 10+. If you have a younger, older, or mixed age group, please call 360-379-0438 x2 for alternative options to accommodate your group. Sound Studies and Sound Explorations: In the event of cancellation by the group, one half of the deposit (per voyage) is refundable up to 135 days prior to the program departure date. After 135 days prior to the program departure date, the whole program fee is considered earned by Sound Experience for all days reserved, regardless of actual use by the group. In the event of cancellation of the entire program by Sound Experience for reasons of operational readiness of the vessel, Sound Experience will reimburse the group for the full program fee. In the event of Sound Experience determining to run a dockside version of the program with no sailing experience, for reasons of safety or weather, Sound Experience will reimburse the group for 30% of the cost of the program. Sound Experience will not be held responsible for any liability or costs incurred by the group due to any cancellation, except as stated above. Sound Experience offers three themed options for your Sound Exploration program.. Within each option is a specific selection of Learning Stations that complement each other to create a cohesive learning experience. For a detailed description of each station within each theme, please see the Educator Packet. There is also a list additional activities that we can incorporate. 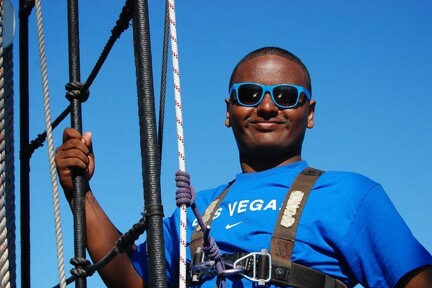 We will work with your group to modify a trip to meet any specific needs you might have. Identify major environmental issues of the region and learn how we as a community can have an impact. Learn about the importance of the marine trades industry and its impact on our region. Discover a deeper understanding of the Salish Sea and its inhabitants. © 2016 Sound Experience. All Rights Reserved. Sound Experience is a recognized tax-exempt public charity under Section 501(c)(3) of the Internal Revenue Code.